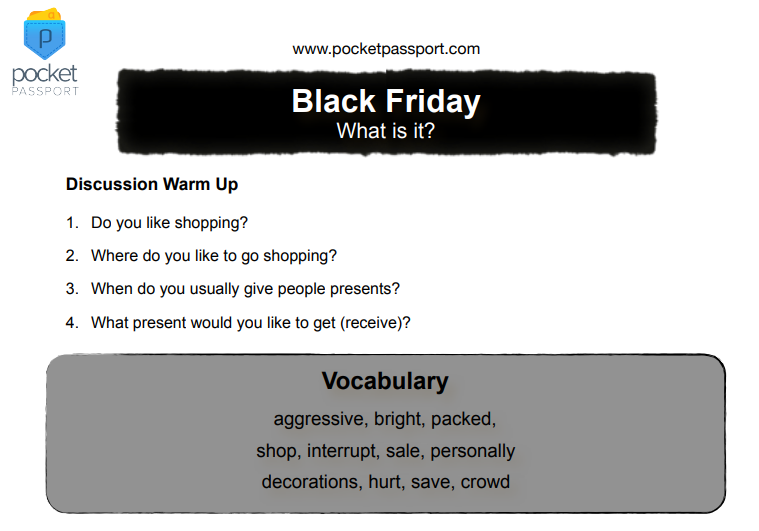 A fun, animated lesson to teach your students all about Black Friday. What is it? How did it get its name? What happens? and lots more! This lesson plan is linked to a YouTube video that was made specifically for ESL/EFL students. 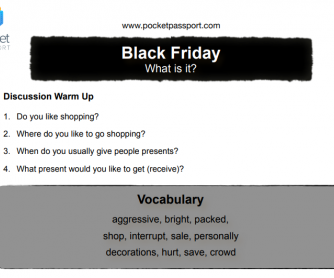 Great visual aids that help contextualize vocabulary and expressions, so that your students know when and how to use the language.